*Four holes wall-mounted concealed installation, suitable for bathtub. *Brass double straight handles, 90°quick-open design, independent switch. *Bubbler in outlet makes the stream more smooth. 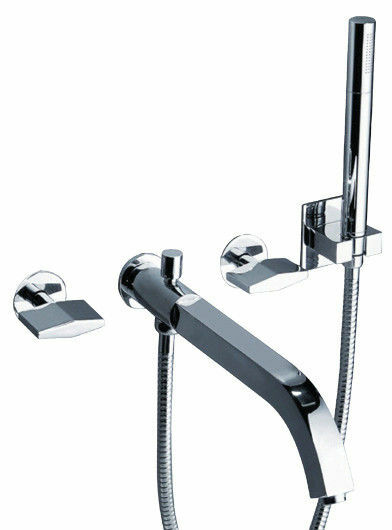 *With 1.5m stainless steel flexible hose and hand shower, high quality materials ABS( engineering plastics) ,chrome plated.